For the past three decades A. A. Long has been at the forefront of research in Hellenistic philosophy. In this book he assembles a dozen articles on Stoicism previously published in journals and conference proceedings. 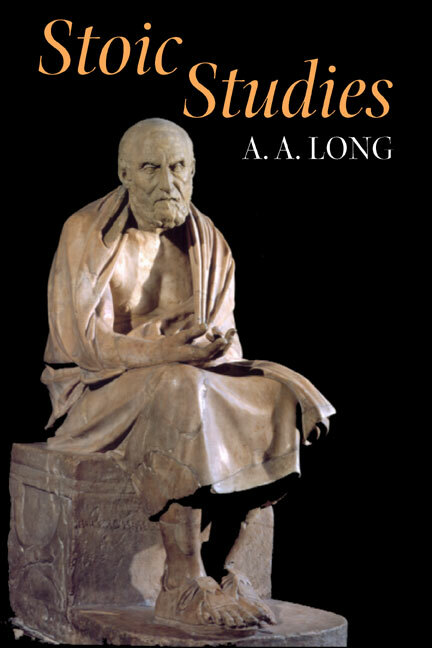 The collection is biased in favour of Professor Long's more recent studies of Stoicism and is focused on three themes: the Stoics' interpretation of their intellectual tradition, their ethics and their psychology. The contents of the book reflect the peculiarly holistic and systematic features of Stoicism. The papers are printed here in their original form for the most part, but the author has made some minor corrections and stylistic or bibliographical changes. He has also added a postscript to three papers whose topics have been the subject of much discussion during the years since they first appeared. A. A. Long is Irving Stone Professor of Literature in the Department of Classics at the University of California, Berkeley. His earlier works include Hellenistic Philosophy: Stoics, Epicureans, Sceptics (California, second edition 1986) and, in collaboration with John Dillon, The Question of Eclecticism: Studies in Later Greek Philosophy (California, 1988).